The existing building will be taken down to make way for to a new, stepped building that provides six flats on three levels, with large terraces and cantilevering balconies. The building will have three entrances. 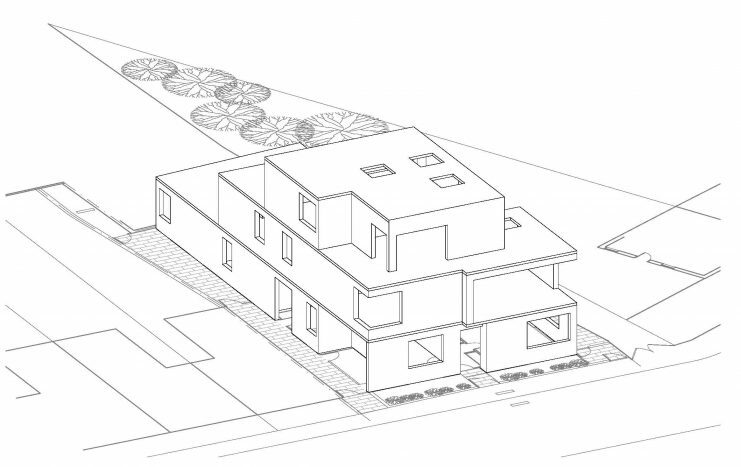 The first entrance, in the middle of the front elevation, will lead to the first flat. 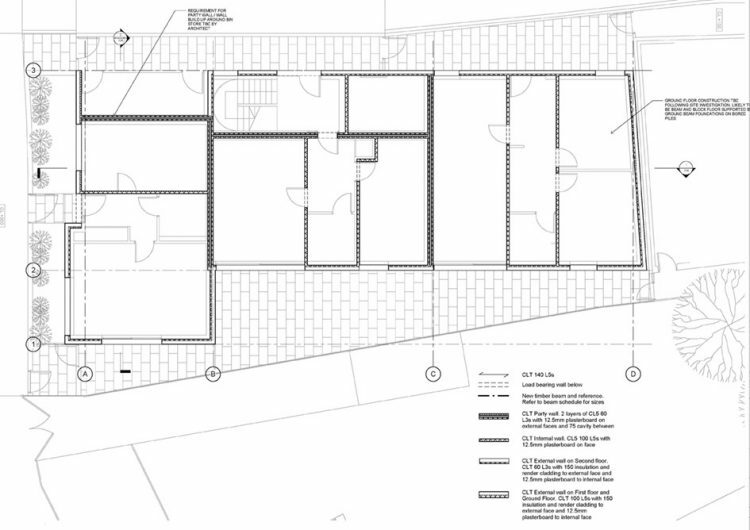 The second entrance on the East elevation will be a communal area with an entrance to the second flat at ground level and a staircase to the first and second floors. The third entrance will be at the rear, giving access to the third flat at ground level. The building steps in and out on the upper levels, providing interesting challenges, as the external walls do not align. In addition, the floor plans will be very different without clear lines of support. Originally, a steel frame with composite concrete floor was considered. However, given RISE’s experience with timber, it became apparent that composite-laminated timber (CLT) could be used. The CLT walls will be designed to act as deep beams supporting the floor above and below, removing the need for a secondary steel frame. In addition, the cantilevers will be more easily achieved with the CLT floors, because the CLT panels will work as continuous plates that that can be supported on three sides only. Although CLT can be an expensive option, if used well on a medium to large structure, it can be a cost-effective solution. As the super-structure will be much lighter than a traditional building, further savings will be achieved in the design of the foundations. The CLT panels will be pre-cut with the openings and delivered on site for erection, providing a quicker site programme. 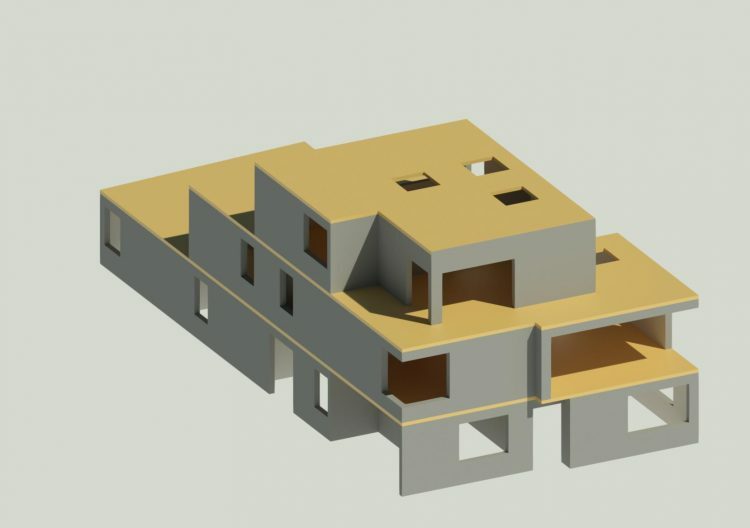 RISE will produce a 3D Revit model and work closely with the CLT supplier, who will be able to extract the panel’s sizes from the model for fabrication purposes, resulting in a simplified production process. Not only did RISE identify a cheaper structural solution to the architect’s brief, we also work closely with the fabricators in order to speed up the fabrication process.